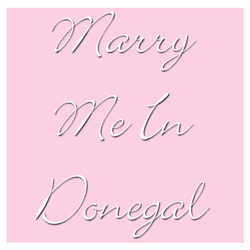 Sample AD €75 - Marry Me In Donegal your wedding site! Plus one photo which will be placed in the box to the left here and will be the same size as the box. (For just an extra €50 you can upgrade to our FULL PAGE ADVERT). Just fill in your details and we will get back to you as soon as possible.